The FirstSavings Plus allows you enjoy the benefits of issuing and receiving cheques while helping you achieve your saving goals. Requires a minimum opening and operating balance of N50, 000. It offers you interest rate of 3.6% p.a. For added security, the account requires references to open. FirstSavings Plus account holders can issue cheques to third parties. Cheques and dividends can also be paid in account holders name. 1) How Do I open a FirstSavings Plus Account? To open an individual FirstSavings Plus Account, you need to fill Account opening form, sign Specimen signature cards, two (2) passport photographs, two independent satisfactory references, utility bill, valid means of identification such as Driver license or international passport. 2) Who can operate a FirstSavings Plus Account? FirstSavings Plus account is open to all except minors as long as the requirement for opening the account is met by the prospective customers. 3) Can I use a FirstSavings Plus account as a salary account? 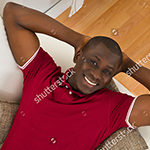 Yes, it can be used as a salary account but the N50,000.00 minimum operating balance still subsists. 4) How does FirstSavings Plus Account operate? FirstSavings Plus account operates with a flexibility of a current account. It allows issuance of cheques that are not valid for clearing but can be cashed over the counter. It also allows lodgement of third party cheques into the customer’s account. 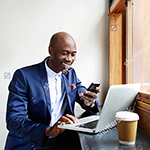 FirstCurrent Plus: A current account that lets manage your funds and daily transactions without charges or monthly fee. 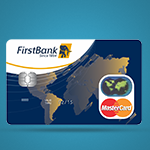 FirstBank Naira MasterCard: Use this card anywhere in the world for transactions wherever the MasterCard logo is displayed.